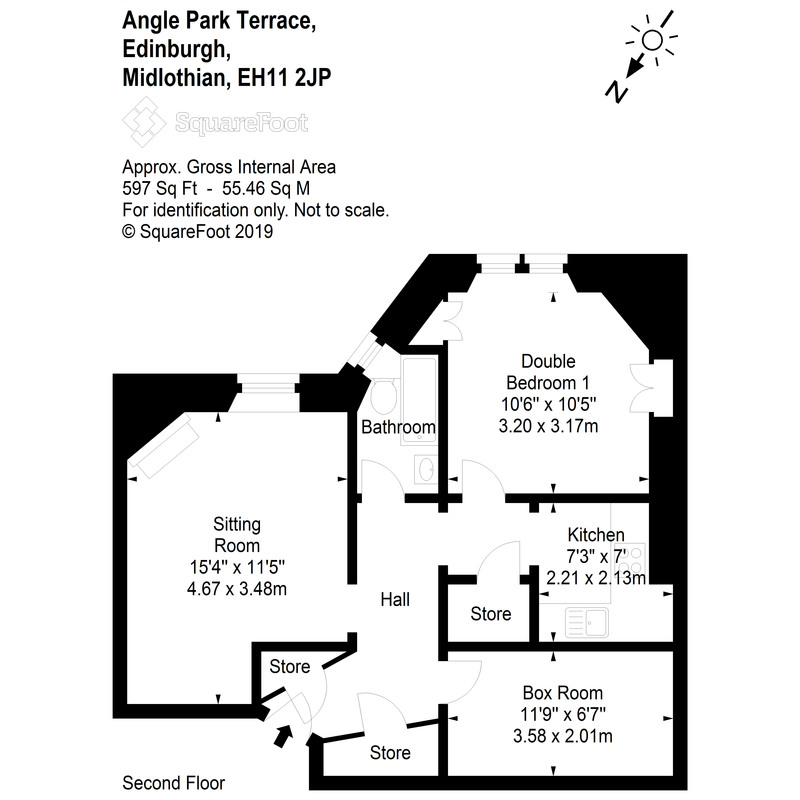 Viewing is highly recommended of this beautifully presented, traditional 2nd floor flat. Situated to the rear of a Victorian stone tenement, this south facing flat overlooks the communal garden and is exceptionally tranquil. Tastefully renovated and of spacious proportions throughout, this flat should appeal to a variety of purchasers including 1st time buyers and investors alike. The accommodation comprises an L shaped hallway that offers 2 large storage cupboards and a further shelfed storage cupboard, a lovely bright lounge with sanded floors and dining recess. Victorian fireplace with slate hearth. Window seat with built-in storage. A bright double bedroom with twin windows overlooking the garden. There is a large double boxroom offering valuable further space. Overdoor skylight to the hall. Compact kitchen ventilated by an extractor fan. Fully fitted with wall and floor units with all appliances included. Bathroom fitted with a three piece suite and Mira electric shower.